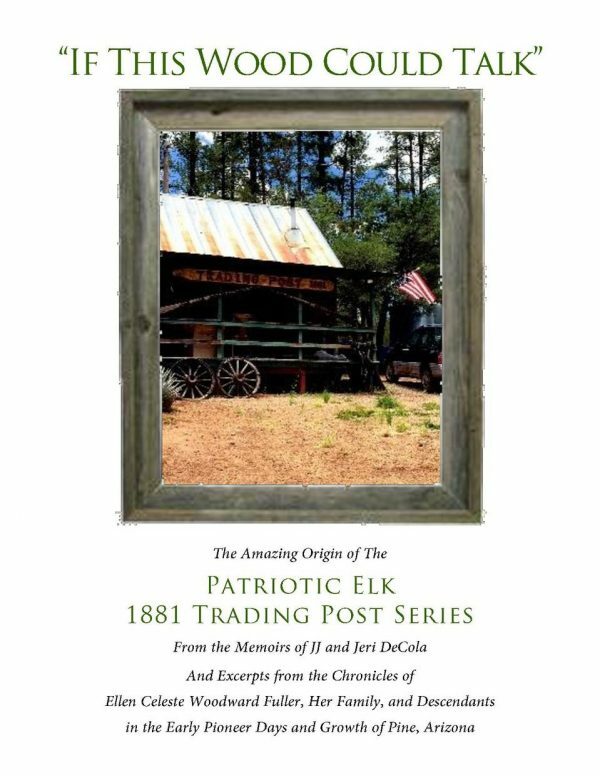 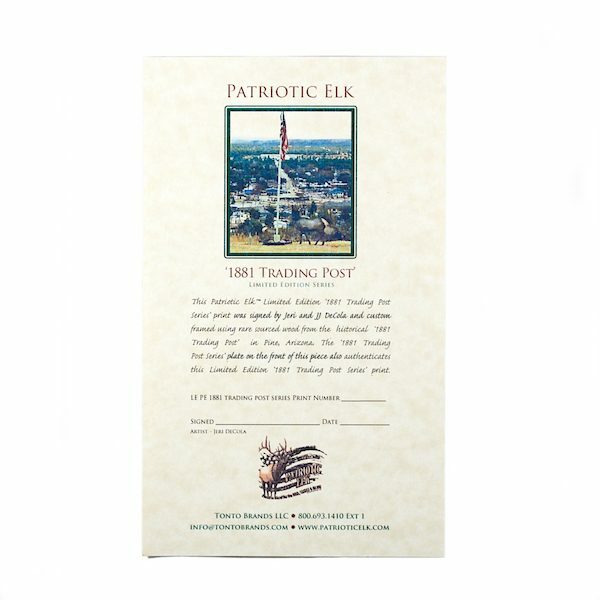 *Showcases the Original Patriotic Elk photo taken by Jeri DeCola on Dec. 23rd, 2016 at her home on the Tonto Apache Reservation in Payson, AZ. 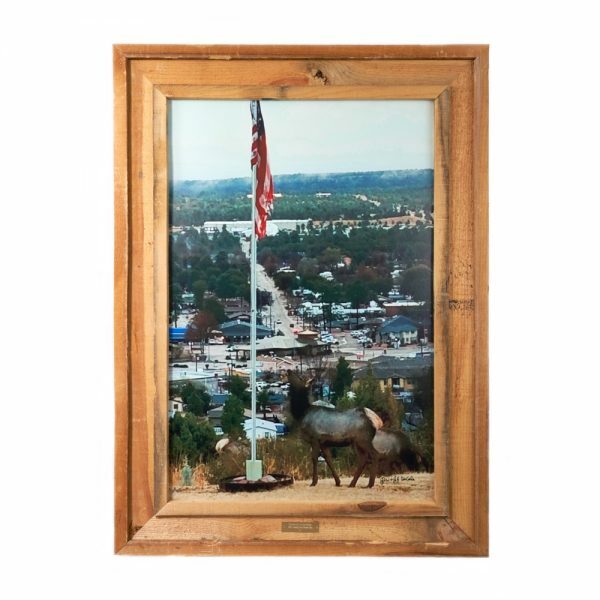 *Custom Framed using Extremely Rare Historical Wood sourced from the Original 1881 Trading Post property in Pine AZ. 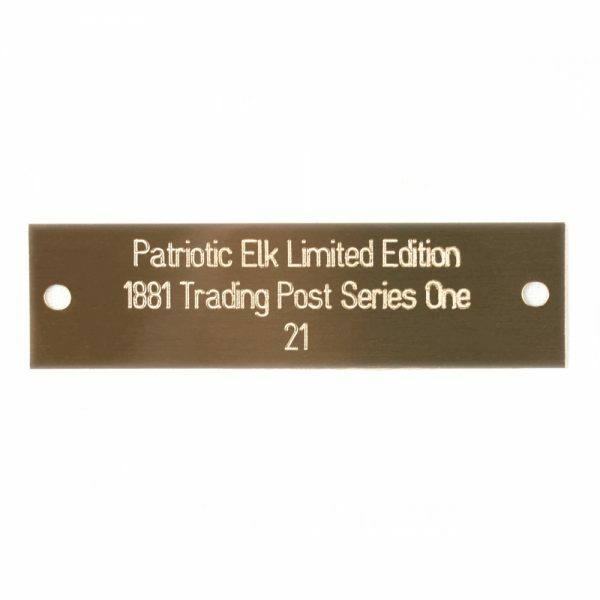 *Custom Engraved ID plate with Series ID number on the frame front. 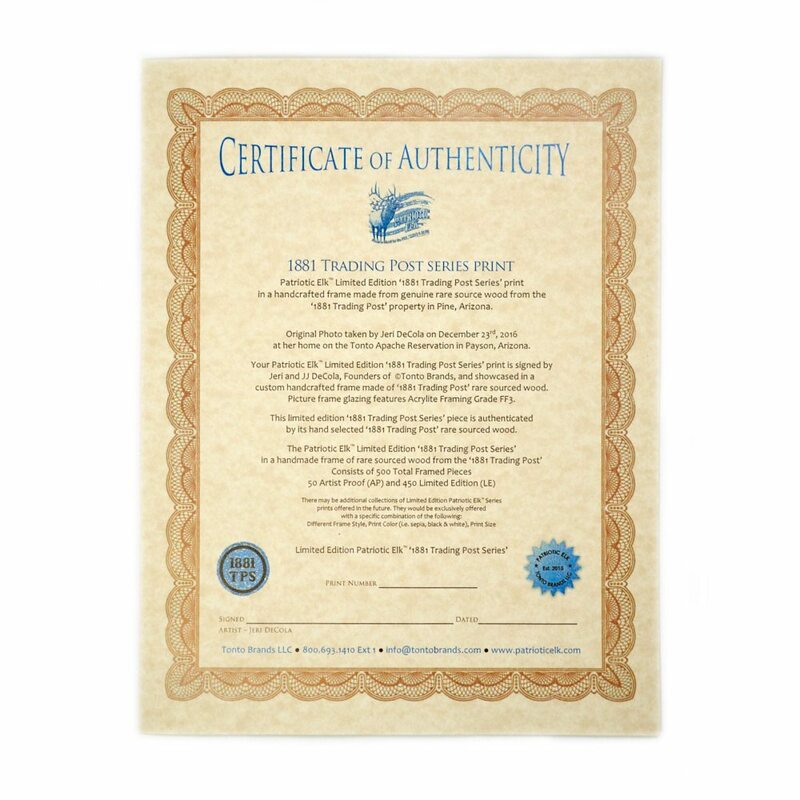 *Custom Spray Mounted ID Doc Signed/Dated by Jeri DeCola with Series ID number on print back. *Certificate of Authenticity Signed/Dated by Jeri DeCola with Print Series ID Number.